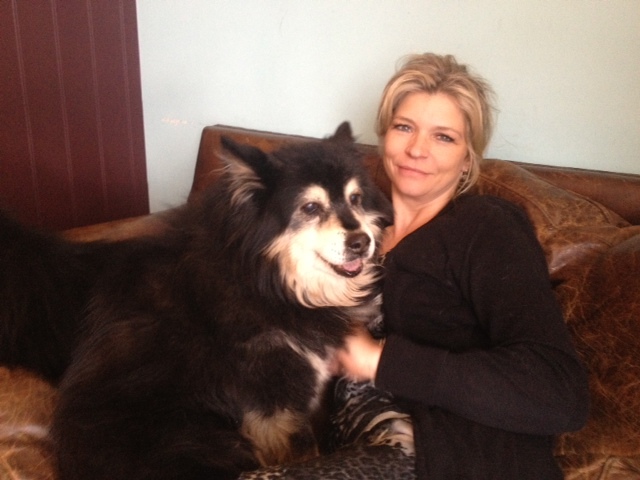 Happy Smuu & happy Mummy, having cuddles Easter 2013. This is Smuu at Easter. The following week I think she had a mini stroke and the heartbreaking decision was made to give her sleep. 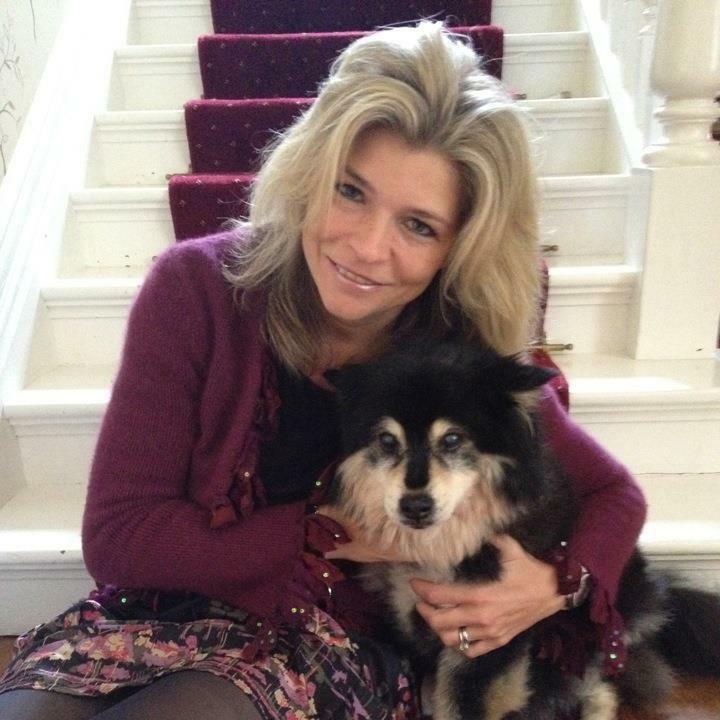 The following photos were taken on her final day with me. 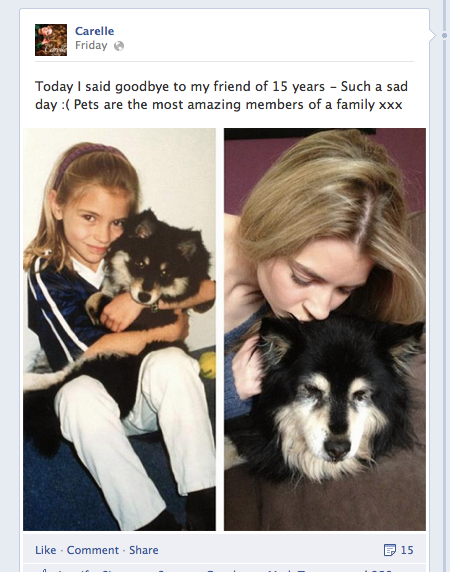 If you have ever lost a dog, you will understand the pain of saying goodbye. I have always believed that it's better a month too soon than a day too late. 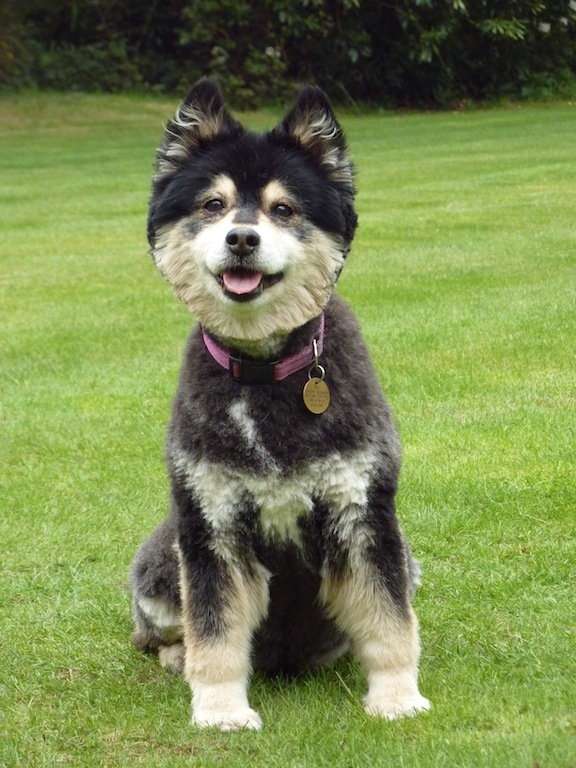 Up until this point, Smuu had being doing really well - still enjoying her trips to the dog friendly cafe and having quality of life. When I took her to the cafe and she struggled to get up and didn't bark her usual greeting, I knew. I brought her home and gave her her lunch which she readily accepted. I put a little more into the bowl and let her lick the spoon. Then I went and got her some more - lucky girl getting thirds! 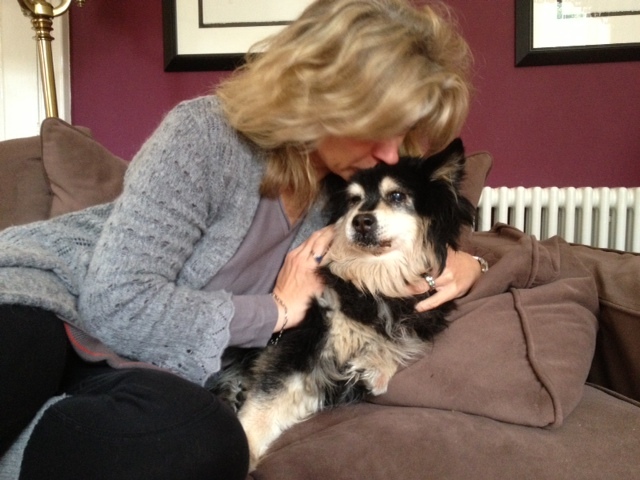 We cuddled up on the sofa and she was given sleep, surrounded by those who loved her best. 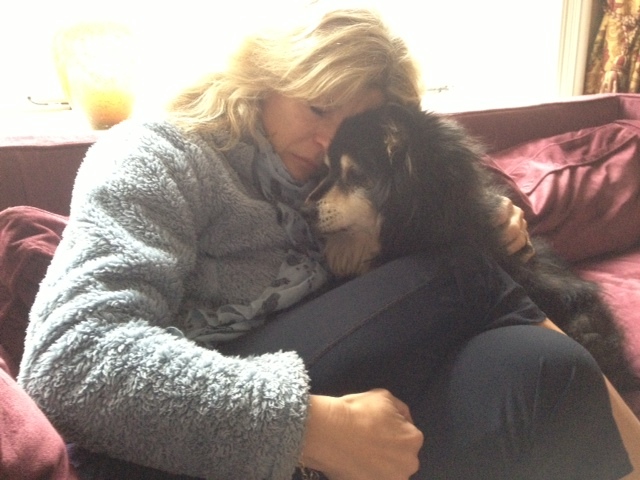 A beautiful peaceful end for an amazing little dog. 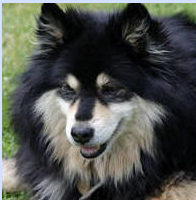 My first Lapphund. 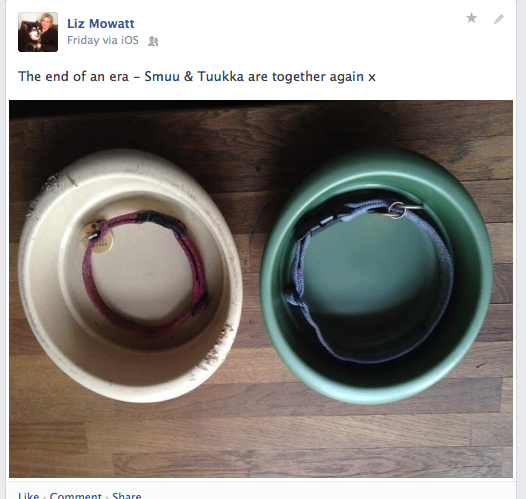 The start of my love affair with the breed - part of the legend that was 'Smuu & Tuukka'. She didn't just change my life, but also those of the families who went on to get a Lappy after meeting her, or who had one of her kids or grandkids. Smuu not looking quite with it. 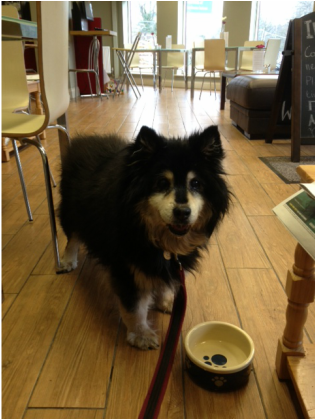 Smuuley in the cafe - she didn't bark her usual greeting, although she did have a nice drink. Decision made & it feels like hell. The whole gang in happier times. 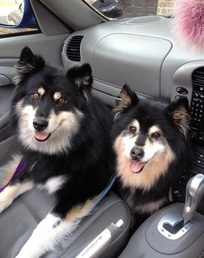 Look at Smuu & Tuukka's cute haircuts! 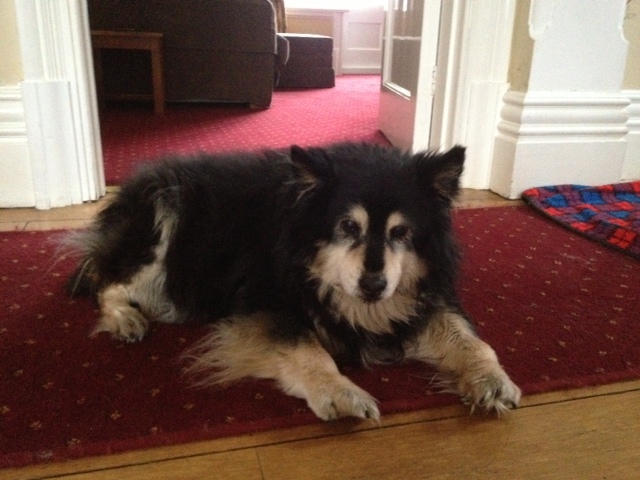 Smuu on her 14th birthday! Smuu with daughter Sisko having a spin in my car. Smuu is my first Lappy and the start of my love affair with the breed. 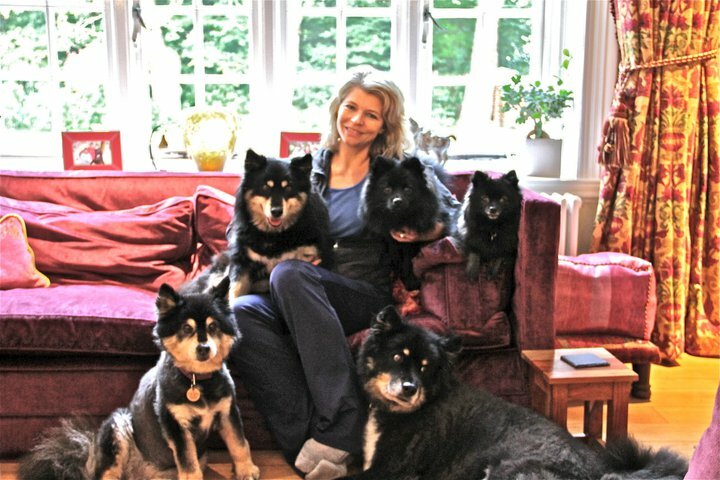 She joined our family when the children were just 8 and 9 - they are (at time of writing Nov 2012 aged 22 and 23) so they have grown up with her and what a perfect family dog she's been. 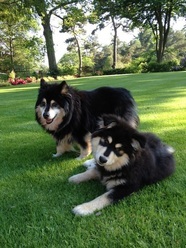 Since 1998 Smuu has brought us untold pleasure - she also gave us two gorgeous litters with Tuukka and lots of grandchildren and great grandchildren. Petite but full of character, she is very intelligent and voices an opinion on everything! One of the most beautiful faces I have seen on a Lappy, she is, and always will be, so very special to us all. She is affectionately known at home as 'The Founder'. FAVOURITE ACTIVITY : SLEEPING & EATING. CHASING SQUIRRELS & GENERALLY DISAPPEARING ON WALKS IN YOUNGER DAYS. FAVOURITE FOOD : CHICKEN WINGS, PEPPERS, COURGETTES, ANYTHING! FAVOURITE PLACE : NEXT TO ME WHEN I'M PREPARING DINNER, SLEEPING AT FOOT OF STAIRS, OR SLEEPING IN CAR - SHE HAS ALWAYS LOVED THE CAR. 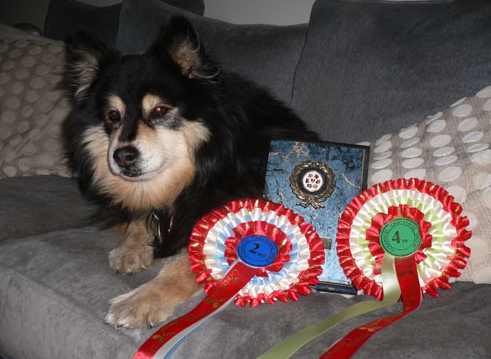 GREATEST ACHIEVEMENT : TWO GORGEOUS LITTERS, SOME NICE SHOW & AGILITY WINS. SHE CAME OUT OF RETIREMENT IN 2009 TO ENTER SOUTHERN COUNTIES CHAMP SHOW UNDER FINNISH JUDGE PEKKA TEINI, WHERE SHE WON BEST VETERAN! 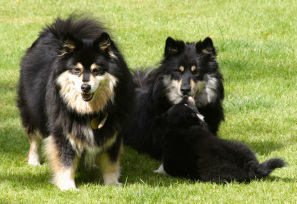 Smuu in 2007 with daughter Sisko and grandkid. 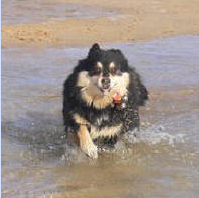 Smuu having fun in the surf on holiday in Cornwall. 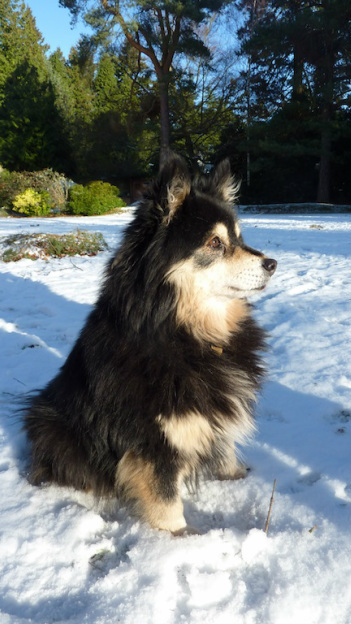 At 8/9 years of age, Smuu took part in an agility contest after an agility break of four years. You can see how well she did!! The video below shows Smuu enjoying a very gentle stroll as old ladies do.